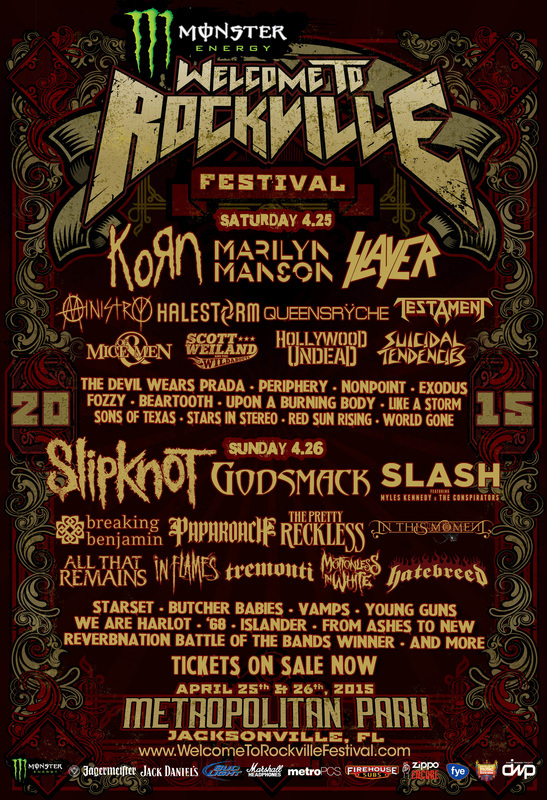 JACKSONVILLE, Fla.—Set times for Monster Energy Welcome To Rockville at Metropolitan Park was released, on April 10. They are subject to change. Hollywood Undead will perform at the Monster Energy Welcome To Rockville Pre-Party on April 24, at Underbelly (113 East Bay Street). It is free to all ticket holders 21+. Attendees must bring their festival ticket, in order to obtain a wristband and is on a first come, first served basis. Wristbands can be picked up at noon and the show will start at 9 p.m.